Let’s explore AWS RDS pricing a little bit, and examine some of the features that comes with it. AWS RDS offers the ability to directly run and manage a relational database without managing the infrastructure that the database is running on, or a having to worry about patching of the database software itself. Amazon currently offers RDS in the form of MySQL, Aurora (MySQL on steroids), Oracle, Microsoft SQL Server, PostgreSQL, and MariaDB. The database sizes are grouped into 3 categories: Standard (m4), Memory Optimised (r3), and Micro (t2). Each family has multiple sizes that have varying numbers of vCPUs, GiBs of memory, levels of network performance, and can be input/output optimised. Each RDS instance can be set up to be “multi-AZ”, leveraging replicas of the database in a different availability zones within AWS. This is often used for production databases. If a problem arises in one availability zone, failover to one of replica databases happens automatically behind the scenes. You don’t have to manage it. Along with multi-AZ deployments, Amazon offers “Aurora”, which has more fault tolerance and self healing beyond multi-AZ, as well as additional performance features. 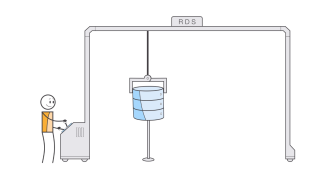 RDS is essentially a service running on top of EC2 instances, but you don’t have access to the underlying instances. Therefore, Amazon has set the pricing for RDS instances in a very similar way to EC2 instances, which will be familiar once you’ve gotten a grasp on the structure that is already in place for compute. There are multiple components to the price of an instance, including: the underlying instance size , storage of data, multi-AZ capability, and sending data out (sending data in is free for the transfer). To add another layer of complexity, each database type (MySQL, Oracle, etc.) has different prices for each of the factors. Aurora also charges for I/O on top of the other costs. What often gets lost in the use of a service is the time-to-value savings (which includes your time and potentially opportunity cost/benefit for bringing services online, faster). For example , by using RDS instead of your own database, you avoid the need to install and manage the OS and database software, as well as the ongoing patching of those. You also get automatic backups and recovery through the AWS console or AWS API. You avoid having to configure storage LUNs and worrying about optimising striping for better I/O. Resizing instances is much simpler with RDS, both going smaller or bigger if necessary. High-availability (either cold or warm) is available at the click of a button. All of this means less management for you and faster deployment times, though at a higher price point. If your company competes in a highly competitive market, these faster deployment times can make all the difference in the world to your bottom line. One downside of just about every PaaS offering (and RDS was no exception) is that there typically is no “OFF” switch. This means that in non-production environments you are paying for the service, whether your devops folks are using it or not. For RDS that was changed recently by AWS. RDS instances in dev/test environments can now be stopped.